As the Earth awakens, there is a fiery purging of the old Vector Time lock Net Earth Programmed Reality Constructs we as The All That Is Created for the Experience of IT. No matter who you talk to in the Conscience Community there has been this sense of a negative Black Goo surrounding the Earth Plane. Many have been guided to bring in the light to counter this darkness. Many in the Conscience Community have been talking about the Earth growing and evolving from the inside out purging this Black Goo. Well, this summer has been a time of purging for the Earth Plane and all life on it. This black goo layer is located on a personal level the most between the Schema DN-3 Over Soul Mind Bone Memory Matrix Outer Fascia and the Ludfar Precepts Mind(Soul) DN-2 Liquid Memory Matrix middle fascia of the Liquids/ blood. But can be found in other levels of self as well. On the Earth Plane level, it is located the most between the Sche’ma KarU’sa D3 ShALons Crust to Lower Mantel and the Lud’far KarU’sa D3 Alons of the Core Aquifers. But can be found in other levels of the Earth plane as well. It follows Celestial Dark Road. So what the above is saying in laymen’s terms is so is Above As Is Below meaning this goo is experienced in multiple areas of our life. In the metaphysical realm it is a layer of muck located between our Oversoul/Metatronic Mind and Soul Mind which would break down our line of communication before even entering the Incarnate DN-1 mind which in our multidimensional form effects the blood and bones of the DN-1 Earth body which is in line with how I have been feeling and hearing from others that they can feel the changes in their bones. Well, that is because we are. From the Earths perspective it is located in the mantle/crust and the core Aquifers which would cause earthquakes and the land heating up, hints: Global Warming, hmm. Interestingly, I have noticed the areas that one would consider power spots that would have a lot of buildup of disharmonic energies like the Gru-al point in the Siesta Keys/ Sarasota (D2 control center for Earth)area and also the people who have been embodying the frequencies all seemed to be hit the hardest. These areas, people, plants, and animals are all embodying higher frequencies as they purge the Beastie dead light Shona crystals out of their templates. I noticed certain plants not doing as well this year on my property and I had a feeling before the season began not to grow a lot this year so I did not. The Wild Fires have also been out of control this year as well. As I noted in one of my last reports and heard others talk about this Purple hue in the sky at sunset which I have a sense is the activations coming in purging the chemtrails and other energies. The Gru-al area has a yellow-green color from overgrowth of a particular type of algae which has caused much marine life to die. I have a sense that many of the marine life who passed on did so as their contracts ended. 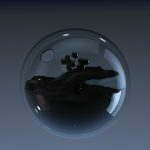 We might see new Marine life showing up now too? My guidance is that the cause of this overgrowth of algae was not bad but was the heating up of the Earth for purging. This purging was and is releasing a lot of heavy dark energies that had built up over a long period of time. Many of these dark energies are transmuting/ transfiguring and some of these energies as they release are still causing havoc as because they are finding new places of a similar vibration to cohabitate. This is why it is so important to be mindful of our thoughts and feelings. In other words, are we tending to “our own Inner Gardens”? 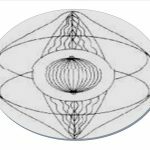 What is our predominate vibration and are we living New Earth Now soul life or are we caught up in the old Earth fight or flight victim-victimizer polarized programs. We all at some level are all Gridkeepers here. How we perpetually feel and think creates the Holographic World we all live in. While we can have powerful effects by singing, drumming and imaging certain sound tones into the grids for clearing disharmonic energies and bringing in positive activations. Our overall holographic mindset has the last programmed insertion. As long as there is an enemy out there we have to battle than there will always be an enemy out there to battle. The true shift will only come when we realize the true enemy is within our own Inner Holographic Psyche of Reality. While we all share at the root chakra of the Core of Earth a similar reality construct. No two people’s reality is exactly the same. 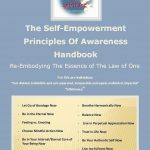 True empowerment is really inner-standing completely and fully no exceptions, NO BUTs…. That You Create Your Own Reality by Your Thoughts, Feelings, Expectations, and Beliefs. There is NO ROCK BOTTUM REALITY as you create Past, Present, and Future within the Spacious Now Moment. The question is are we creating mindfully or by defalt. The best way to know is to utilize our own Inner Feel Guidance system that lets us know when we are not in Alignment with our own Inner Being that Creates Worlds. When we feel Good and present than we are in sync with our own Inner Being that Creates Worlds. When we do not feel good and are caught up in the past and future than we are creating our reality by default and we then create and continue to create a 2nd Creation Demonic Prison Planet. The energy work/ techniques that we utilize are they in support of us being in alignment with one’s own Inner Being. 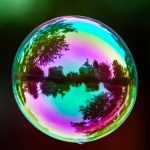 These techniques should not be done to safe us because only “I can save me by being in alignment with The I AM This I AM”. There is a Mechanics pertaining to the development and evolution of New Earth Now: “Aqua-Blue Integral Bridge Hydroacoustic Eff-i-fara Tryptolase Aquifer Tether line to A-RHi-yah & Cosmic Eff-i-Rhyone Core leading up to the Silver Shield Transmission & Silver Seed Flash-Phase Embodiment. This energy is a time of rebirthing and re-embodying our personal Spirit Zion birth quantum and releasing the parental birth Va-Ba TE Cell Quantum that has kept us all in a particular Time Vector Lock-Down on Net Earth. This releasing of the Va-Ba Te Cell and the expansion of our Zion is bringing a stronger embodiment of our EFF-i-ah consciousness which is another way of saying our Eternal Source Self or living a Soul Life. This is experienced as a rainbow-colored frequency of Light and sound Conscious Silken Wave of energy. I am really looking forward to the next few months as more clearing and healing and waking up for the Earth and All Life on it. Please go to ARhayas Productions for more descriptions and product information on the KDDL Workshops. The current KDDL 3 is still active and you can get the most up to date information and have the opportunity to go live with E’Asha when the Earth Plane and all life has activated enough to move to the next Krystal Caverns activation of Earth Cync. 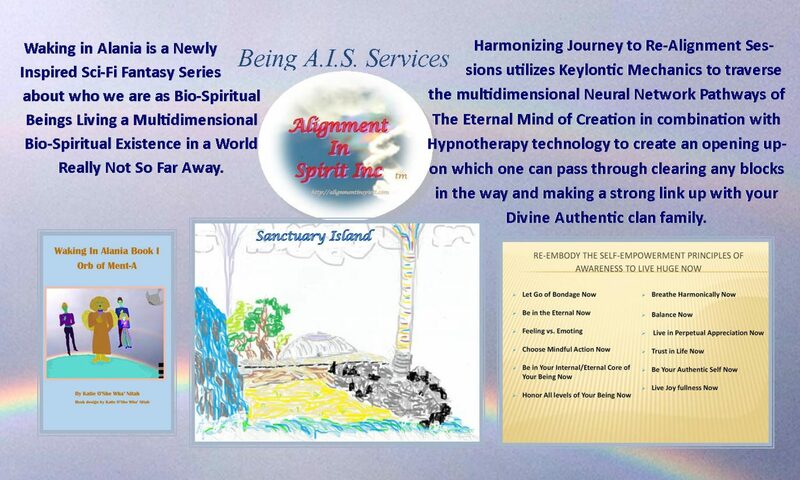 CategoriesBeing In Alignment In Spirit, Keylontic Science, Self-Empowerment Principles of Awareness, taking new though TagsBeing In Alignment In Spirit, Bio-Spiritual, Self-Empowerment Principles of Awareness, the next logical step in "New Thought"